Diving Center Santa Teresa Gallura proposes the best dives in the Mediterraneo sea, in the wonderfull sight in the Bocche di Bonifacio. The center is located in strategic position in the Port of Santa Teresa Gallura, to only 20 meters from the boarding on our boats and near to the exit of harbour. 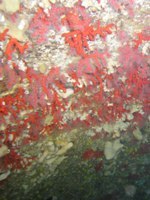 Along the coast of Sardinia and Corse (Lavezzi island), you can admire the wonderfull red coral, the rare dark coral, the very big groupers and attractive wrecks. 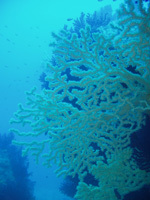 It's an ideal destination for the divers and for the persons that love to admire the sea playing snorkeling. Diving courses for all levels (CMAS, NADD, SSI and PADI). In the diving you can rent and buy the equipment and also rent pneumatic boats. For our guests discount for the trips to the islands in the Arcipelago de La Maddalena.